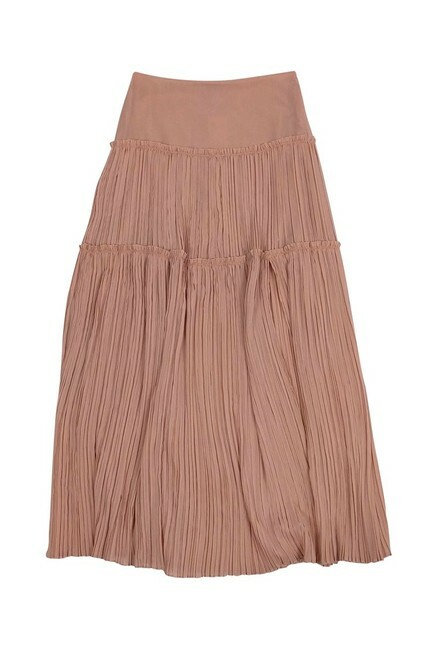 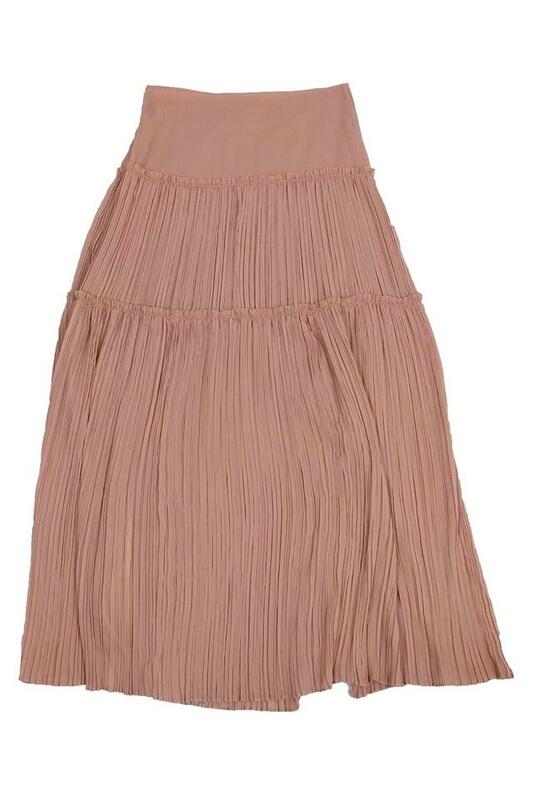 Feel lovely in pink with this flowy maxi skirt. A pleated fabric adds dimension to the fabric. Made with a daring front slit.